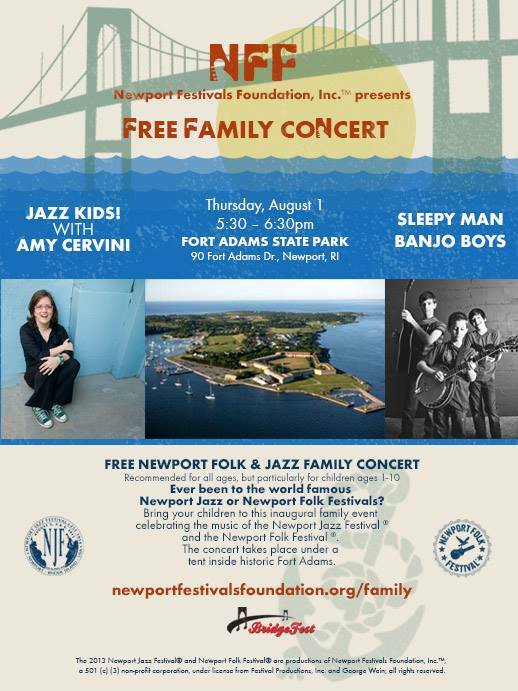 The Newport Festivals Foundation, the folks behind the Newport Jazz Festival and the Newport Folk Festival, are putting on a Free Family Concert on Thursday, August 1 at Fort Adams State Park in Newport, RI. Bring your children (recommended for all ages, but particularly for children ages 1-10) to hear and experience jazz and folk music as presented by our Newport Jazz and Newport Folk Festivals. Featuring: Sleepy Man Banjo Boys and Jazz Kids! with Amy Cervini . The concert takes place under a tent inside the walls of historic Fort Adams.